In December and January, those words jump at us from magazine covers and Facebook posts. Some people take that cheery slogan as an order and seek to remake themselves. That’s when they call their favorite salon or spa for beauty treatments that promise to slenderize, slough and massage until you see that new you. Endermology. Even quite fit people have the dimpling and puckering on their thighs, buttocks and stomachs that is commonly called cellulite. Endermology promises to smooth and slenderize with a combination of deep massage and suction that is supposed to leave behind smooth, firmer skin. Results vary, but there are a few risks to the treatment, so it is a relatively safe option for those who can afford it. People who have undergone endermology will experience the sort of soreness and aches that accompany a deep tissue massage. Facials. The host of skin treatments that make up a facial may help control breakouts, relieve dry skin, control dark spots and generally improve a person’s complexion. No matter the results a customer seeks, it is a pampering, relaxing experience for them. Unfortunately, too many people performing this service are not skilled, and an unskillful facial may leave a customer with irritated skin. Some practitioners fail to wear gloves, which can lead to breakouts. Therefore, facials should only be performed by a skilled, trained technician in a salon or spa setting. Microdermabrasion. Like facials, microdermabrasion treatments promise to leave your skin feeling renewed. However, it involves a more aggressive approach, using mild abrasives to sand the skin. This can help with scarring and discoloration, in addition to improving the overall appearance of the skin, but that means it carries more risks. The treatment makes skin very sensitive, and leaves customers with red, irritated-looking skin for a full day. It is crucial this treatment be performed by trained technicians who communicate clearly with their clients. Body wraps. 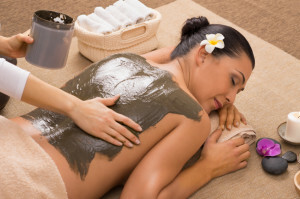 There are many types of body wrap treatments. Typically, technicians will exfoliate the skin, apply a special cream or mask, wrap the body in towels, sheets, plastic or Ace bandages and leave the client wrapped for a period of time. Spas and salons make a range of promises about the effects of these treatments, from deep moisturizing and relaxation to slimming and fat reduction. Depending on the type of treatment, it can be beneficial to the skin, but salons tend to make exaggerated claims on the effects of the treatment. Slimming wraps, for example, also promise to reduce clients’ thighs or stomachs by inches. But those losses last no longer than two days. There can also be problems when technicians wrap their clients up tightly and then leave the room for periods of time. It is best if they make reasonable claims about the treatment and remain present while the client is wrapped. Body massage. Whether people received gift certificates over the holidays or feel the need for pampering against the cold weather, body massages are sure to be popular in January. We tend to think of massage as a relaxing treatment, but deep tissue massage can have real effects, both positive and negative, on the body. It is critical that massage services are performed only by a trained, licensed massage technician. These treatments may be “non-invasive” and “all-natural,” but that doesn’t relieve them from the need for judicious risk management. If you own a salon and spa, remind your staff to take the time for safety even when their schedules get hectic. And if you help to insure salons and spas, take the time to check in with your clients about risky treatments.